Synopsis: An in-depth look at the basics of acoustic blues guitar. Learn the blues progression, blues chords, strum patterns, how to accompany a blues song, moveable chords, barre chords, the blues scale, turnarounds, fill-ins, the capo, double stops, blues licks, bass line accompaniments, blues techniques, how to build and play an improvised solo, and fingerpicking blues. Also included are dozens of blues solos and 9 great new blues songs! In notation & tablature. 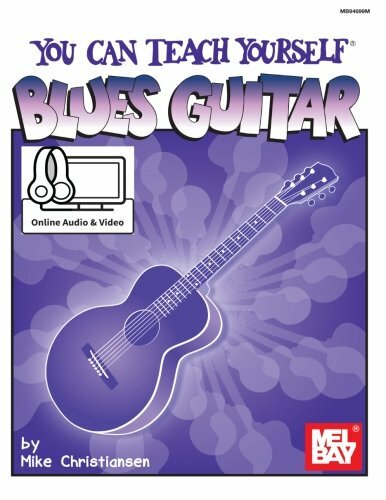 This book is a complete guide to teaching yourself blues guitar. Audio and video downloads available online.